SAP’s commitment towards introducing novel innovations and technologies has seen initiatives come into the market at a phenomenal rate of knots. In such a scenario, keeping pace with the extreme speed of SAP’s innovations has served to be a big challenge for many. In a research conducted with members from the UK & Ireland SAP User Group, about 74 percent of members were of the opinion that SAP was bringing out innovations into the market at a rate that was quicker than their organizational abilities for adopting the same. Additionally, the recent announcements made by S/4 HANA and SAP have revealed that the ongoing commitments to cloud was indicative of the fact that the pace would not slow down in near future, in any way. For consumers, all this is seemingly too daunting to adopt and implement; especially with regards to new products or embarking on a journey towards upgrading their SAP landscape. But then, the returns available on this type of investment are expected to be great. It’s also likely that the adoption of new innovations or planning of upgrades may lead to certain disruptions; but in the long run, these upgrades will be worthy of the pain. Here, the key factors for SAP clients is in gaining an understanding of what their ROI will be and how the same will benefit the organization in entirety. It is clear that SAP has been totally committed to cloud. SAP has predicted in its five-year outlook published recently that the cloud business is expected to reach parity with respect to its on-premise business, by the turn of 2018. In the context of cloud, it becomes very important to remember that SAP boasts of many on-premise customers who have to be catered to the hilt. There should be incentives for businesses that are running existing on-premise solutions happily, and they should know that their movement to cloud would be right for them too, not only for SAP. Here, it is essential for customers to be totally comfortable with their business case with respect to cloud, before they go ahead and take the leap. The fact that cloud is capable of upgrading itself on its own, and is automated in nature, does take away certain concerns of potential disruptions associated with migrations and upgrades. This effectively means that the cloud can itself speed its way into innovation, all because of quicker adoption support and factors that lead to massive cost reductions. Through its vision nurtured in 2020, SAP has now made it very clear that the future is in the SAP cloud. Additionally, customers should start preparing instantly, by conversing with partners and user groups that can provide assistance in planning and implementing an achievable roadmap. Earlier in the year, SAP had announced a major overhaul of its popular business suite. 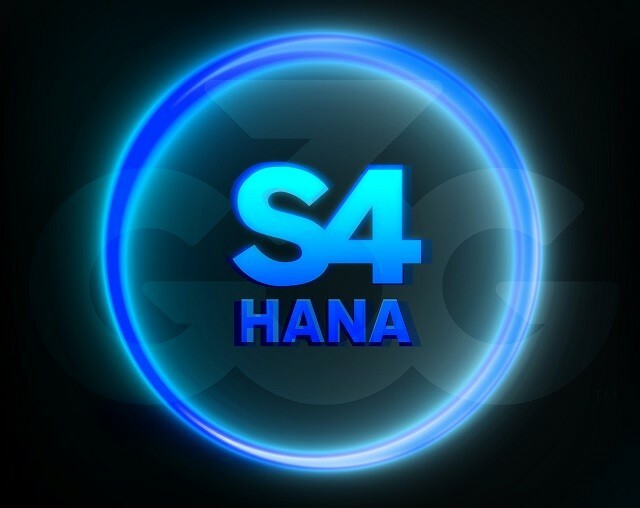 It’s important to note that S/4 HANA is completely built on the HANA advanced in-memory platform, and is representative of the long term strategy that SAP nurtures for HANA, mobile and cloud; with a core area of its focus being on innovation along with efficiency. For SAP users, the promises delivered by S/4 HANA are indeed great. Effectively, an in-memory tool like this has brought forth the claims of a step-by-step change in data analysis and processing, and brings the same closer to reality. Here, the potential for tools related to in-memory computing and other systems to ‘go mainstream’ are quite notable. While it sounds promising, a proper understanding of the migration path with respect to S/4 HANA is important for existing SAP clients, so as to convert the same into a reality. Taking out time for understanding the resources and business case required for effective migration to S/4 HANA will smoothen the path considerably. Here, SAP has to be forthcoming with the support and help that it will provide to its customers, and offer a complete picture with regards to carrying out the migration in a successful manner. Though the desire for embracing innovation exists in the case of most companies, the ability of going about the task seems to be very difficult. Under the circumstances, SAP (Systems Applications and Products)â has to continue offering its support to valuable customers or simply taking the risk of leaving them behind. So far, in recent years, SAP has been quite aggressive in developing and acquiring new technologies. Its acquisition of Success Factors and Ariba are merely two notable examples of its significant buys which have succeeded in expanding the portfolio of all that is on offer for its SAP customers. Keeping pace with technology is not as easy as it seems to the eye and the act of gaining awareness regarding whether to adopt new technologies or not keeps clients guessing. Here, the risk remains that businesses may miss out on the potential advantages that platforms such as Success Factors are expected to deliver, this is due to the fact that they lack the impetus and knowledge to seek change. While SAP customers should not wait for direct answers to come to them immediately, they should seek active knowledge and support from SAP’s user groups and partner ecosystems alike. In addition to other benefits, this will ensure that clients will have access to a clear understanding of the long term plans of SAP, and they will get an opportunity of mapping their own roadmap to success, in line with the same. The adoption of new technologies and all platforms that lead to greater innovations cannot take place overnight, nor is it an easy path to traverse upon. However, with the right support and help, clients can at least be sure about what is the right way for them.